Facebook is rumored to launch a refresh of the Oculus Rift this year dubbed the Rift S. Every Oculus VR headset launch so far has been accompanied with an impressive collection of new games. These five major Oculus exclusives launching this year could be Rift S‘s big hitters. All five games are fully funded by Oculus Studios, Facebook’s VR content division, and are currently only confirmed for the standard Oculus Rift headset. Stormland is a AAA open world co-op adventure from Insomniac Games. The game features a vast open world that is part procedural and part hand-crafted. It also features mechanics like crafting, gliding, and climbing. The graphics look incredible from what we’ve seen when we went hands-on with it. This honestly may be the best looking made-for-VR open world title yet. Insomniac’s previous VR titles were the 3rd-person Lovecraftian adventure Edge of Nowhere . Outside VR they’ve developed hit titles like Spyro the Dragon, Ratchet & Clank, Sunset Overdrive, and the Resistance series. More recently they developed Marvel’s Spider-Man. Asgard’s Wrath is a AAA Norse-inspired action RPG. In Asgard’s Wrath you take on the role of a Norse God with the power to inhabit the bodies of mortals. Throughout the 30+ hour adventure you’ll frequently swap back and forth between the perspectives of a towering God with an epic sense of scale and the perspective of on-the-ground mortal warriors to take advantage of the game’s brutal melee combat. Sanzaru Games’ previous VR titles were Touch launch titles VR Sports Challenge . Lone Echo 2 is the sequel to the hit 2017 voice acted story from Ready at Dawn. Not much is known about Lone Echo II yet, but if it’s anything like the original, it’s sure to be a title to look out for. Defector is an action packed spy game that turns you into Jason Bourne (or James Bond, if you prefer). Originally slated for 2018, the game was delayed to some time this year. We’ve tried this game a few times now — most recently at Oculus Connect 5. Each time we tried it we had a blast. This game probably won’t make you think a whole lot other than deciding how to smooth talk your way out of trouble, but its exhilarating over the top action sequences are downright fun. The post 5 Upcoming Oculus Exclusives That Could Carry ‘Rift S’ This Year appeared first on UploadVR. The HTC Vive Focus Plus is a new Enterprise Focused Headset Coming Q2 2019 The standalone device will include 6DOF controllers and more. It’s time to meet yet another new member of the HTC Vive family. Say hello to the Vive Focus Plus. Announced today ahead of next week’s Mobile World Congress, Vive Focus Plus is the next entry in HTC’s enterprise-level standalone headset series. It’s got everything you need to jump straight into VR, just like the original Vive Focus. You don’t need a phone, PC or even external sensors thanks to inside-out six degrees of freedom (6DOF) tracking. The biggest additions here, though, are the new 6DOF controllers. The original Vive Focus came with one 3DOF controller that allowed you to point in VR. This pair of new controllers, first announced last year, let you reach into virtual worlds just like on the original HTC Vive. Unlike the first Vive, though, Focus Plus uses ultrasonic technology for tracking. The controllers also sport triggers, grip buttons, a trackpad and home and menu buttons. Like the newly-redesigned Oculus Touch controllers for Oculus Quest, the tracking ring runs over the top of the kit. We went hands-on with the controllers last year and came away impressed. HTC introduced these controllers as a developer kit for the original Focus. They shipped out to studios with a mount you needed to fit to your headset for tracking. However, HTC told UploadVR that it currently has no plans to bring the controllers to original Vive Focus owners. The Vive Focus first arrived in China in 2017 but only released in the west in November 2018. That leaves just a three-month gap between Focus’ release and the announcement of this upgraded model. Vive Focus Plus also improves comfort though you wouldn’t know by looking at it. At a glance it looks identical to the old model. A Qualcomm Snapdragon 835 chipset powers the kit. That’s the same as the one seen in the original Focus. It’s also got a 3K display, which is what the original included, though HTC also says it has improved optics. It runs on HTC’s Vive Wave platform. Vive Focus Plus will be launching in 25 countries in the second quarter of 2019. We don’t know how much it will cost yet. That said, the original Vive Focus cost $599 when it launched three months ago. Expect it to be higher than that. Elsewhere, HTC is also set to release the Vive Pro Eye in Q2. Like the Focus Plus, it’s an upgrade to the original enterprise-level model that won’t replace it. Finally, the Vive Cosmos is also on the way this year. That’s a new consumer headset with 6DOF tracking of its own. We still have a lot to learn about it. The post HTC Vive Focus Plus Is A New Standalone Headset With 6DOF Controls And Improved Comfort appeared first on UploadVR. UK-based Ultrahaptics thinks it has the key to haptic feedback in VR. This week you can try it out for yourself. The company partnered with Fallen Planet Studios to integrate its mid-air haptics technology into VR horror title, Affected: The Visit. The experience is showing at the ImmotionVR center in Cabot Circus, Bristol until the end of February. It’s the first UK showing for the demo, which has previously done tours in the US. Check it out in the trailer below. Ultrahatpics’ solution uses ultrasound to apply feedback to the user’s hands. It’s previously been showcased as means of controlling other devices, but it could take on new meaning inside VR. Imagine paying a visit to Affected’s virtual house of horrors and not just seeing every jump scare but feeling it too. Or, y’know, something not as massively terrifying. Haptics is a crucial area of R&D for VR right now. Current systems bring our hands into VR with full control, but they don’t help you feel the experience. Hands float through walls and surfaces and there’s no resistance to, say, pushing a button. Ultrahaptics solution is one of many potential methods to solve this problem, though all of them seem far off. Currently, you have to hold your hand over a platform laid on a surface in front of you. 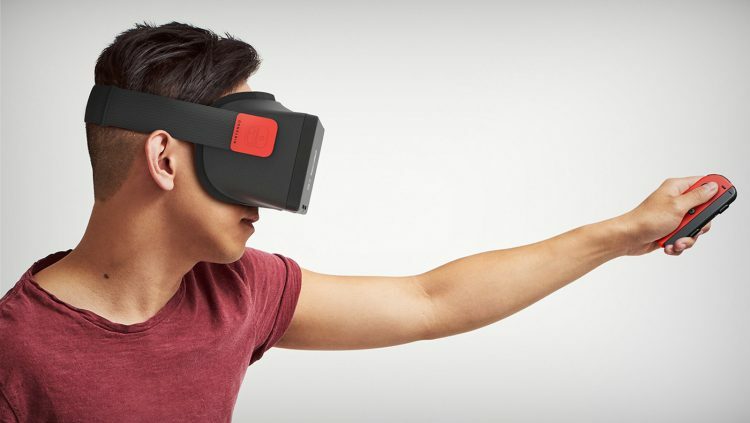 It’s a little similar to early versions of Leap Motion before it started integrating itself into headsets. We’re not sure when Ultrahaptics might be ready for consumer-level VR (if ever), but the studio did raise $23 million in funding in early 2017. It’s a very promising concept. The post This VR Demo Uses Mid-Air Haptics To Make Affected More Immersive appeared first on UploadVR. The Gear VR Lives on as Samsung Confirms Galaxy S10 Support There's no new headset, it's just the current one with an adaptor. The post Raiders of Erda Dev Reveals Investment, Ikabod For Accurate VR Avatars appeared first on UploadVR. Angry Birds VR Giveaway Livestream: Win A Free Steam Key! Join us live on Twitch with Angry Birds VR! We're giving away ten free Steam keys during the Stream so don't miss your shot at a free copy. The post Angry Birds VR Giveaway Livestream: Win A Free Steam Key! appeared first on UploadVR.